Some people might call the Sonics 122-83 blow-out win over the Portland Trailblazers an empty, meaningless game. Those people are retards. 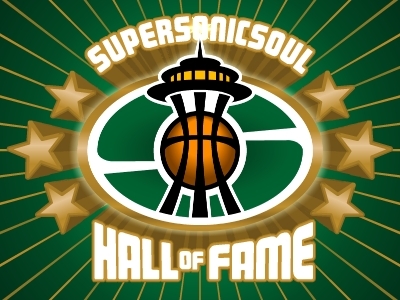 After sticking it to the man (Nate) on Sunday, the Sonics improved to 9-7 since the trade deadline. The Blazers, meanwhile, have gone 2-15 during that time. Sure, the Blazers might have stolen our coach and sewn up the #1 pick in the lottery, but at least, for the moment, we can savor a rare rout of our most hated rival. 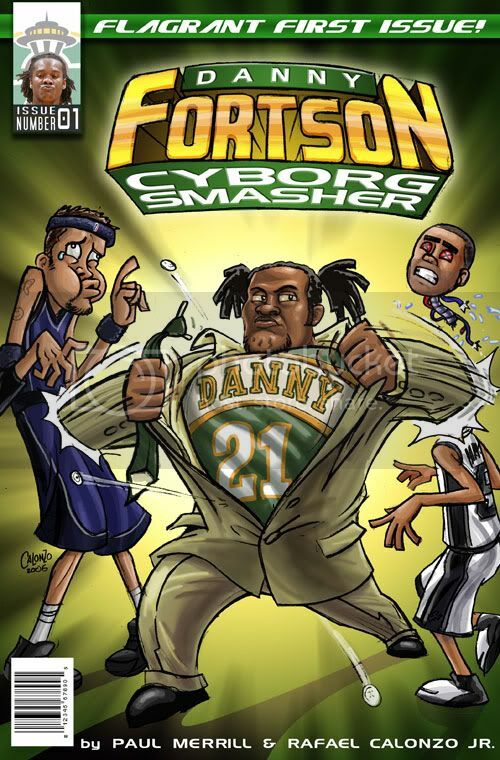 Now, bring on the next episode of Danny Fortson: Cyborg Hunter! I'm a retard. That was an empty, dull and meaningless game. It's late getting back from Malaysia, where I outsource the inking, lettering, and comedy. I blame "Daylight Savings Time." I blame "Daylight Savings Time." Hey, did you mean Nate is the "The Man" as in John Shaft is "The Man," or as in "The Man," who's always keeping us down? I think he's a little bit of both. I will always love Nate as a player. As a coach? I'll let his record speak for itself.